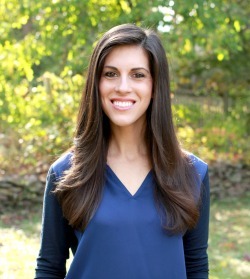 Thank you Frame It Easy for sponsoring this post. All opinions remain my own. 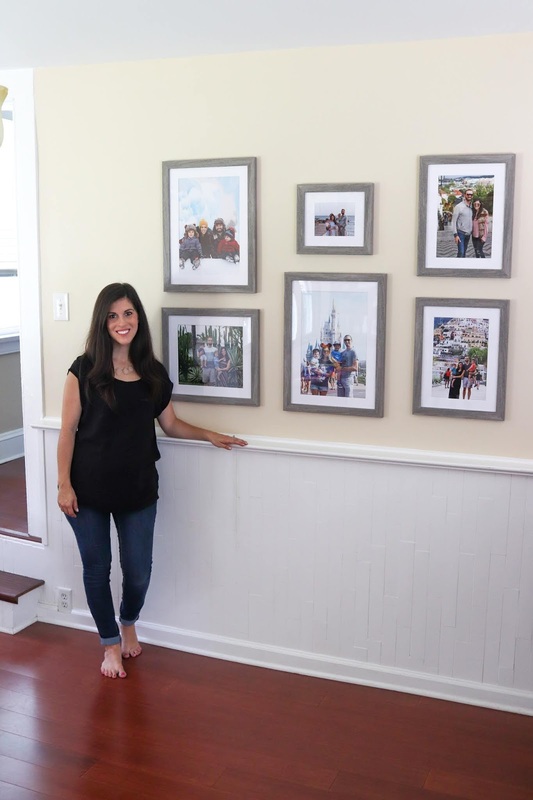 It's amazing what hanging a few picture frames can really do to transform a space. I've had this blank wall for the longest time in my dining room that I was hoping to do something with but never got around to actually putting my thoughts together and figuring it out. It's no surprise around here that two things I love to do is take pictures and travel. I'm getting so anxious to take our Airstream out on the road and capture even more moments together. But sometimes as great as it is to keep snapping away, I get lost or overwhelmed by the amount of pictures that I have and then they just sit in my camera or on my flash drive. If it wasn't for this blog and sharing some of the highlights here, they'd probably get lost in no man's picture land (is that even a thing?). Anyway, I can't even remember the last time I posted pictures on my personal facebook page. Yup, it's that bad. When it came down to deciding what pictures to frame, we went with all different moments from some of our trips. 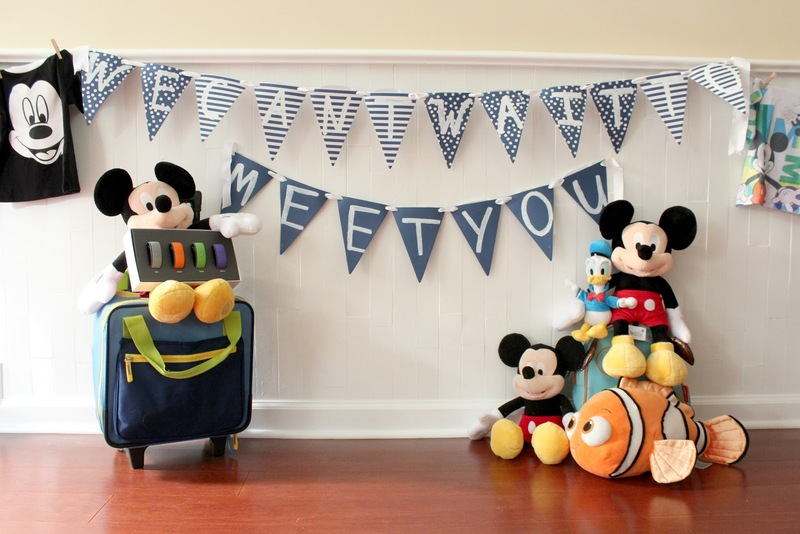 We've deemed this, the travel wall. 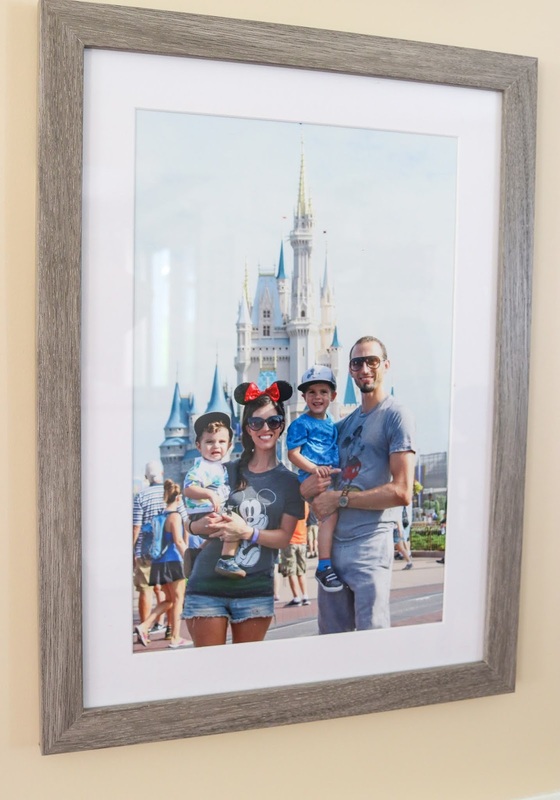 Thankfully Frame It Easy lives up to their name and really does make it that easy to get your pictures printed, custom framed, and shipped right to your door. It's seriously that easy. I was a little skeptical at first because sometimes when you don't see a frame in person you aren't sure of the quality or standards that they have. I have to say, I was so impressed with the whole process from start to finish that I have the itch to frame so many more of our memories and expand on my gallery wall. 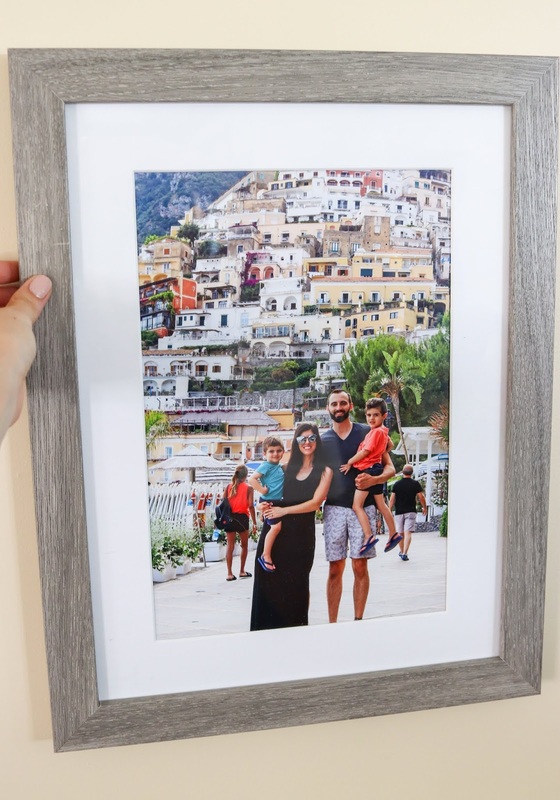 After you upload your image, you select your frame size, your frame design which they have so many to choose from (I went with gray oak), if you want it matted, and then your cover option. The next time around I might consider getting the non-glare cover. There really wasn't anything wrong with the covers that I chose, but it's not the easiest to take a picture, of a picture, and eliminate glare. It's just something to think about. When my frames arrived in the mail I was really happy with the packaging and the time and effort put into making sure they arrived safe and sound. I also love that these frames are made in the USA and the time and detail that goes into them really shows. Once we decided on an area to hang all of our frames, we places them out on the floor in front the wall to see what layout we liked best. We changed it up a few times before we decided on loving this positioning. This probably took a little longer for us because with each picture we kept finding ourselves reminiscing about our past trips, laughing about silly things, and remembering how tiny the boys were. We also found ourselves day dreaming about needing to order more in the future once our next little guy gets here in a few months. Ok, back to the gallery wall. I also had Eric break out the painters tape, level, and measuring tape, because I didn't trust my pregnancy brain to eyeball it. 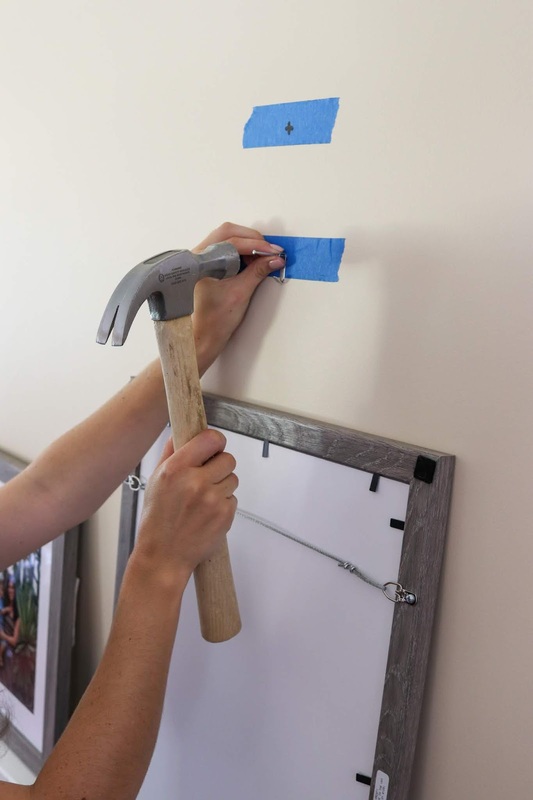 We put the painters tape where the bottom of each frame would go and then made an X for the center and where we would hang the nail. This helped to get an idea if we need to move any over, higher, lower, etc. We also measured between the pictures to have them the same distance a part. Since I didn't get the same size frames for all of them, I like how this shows the different dimensions, sizes, and also leaves room for new memories to be added regardless of their size. 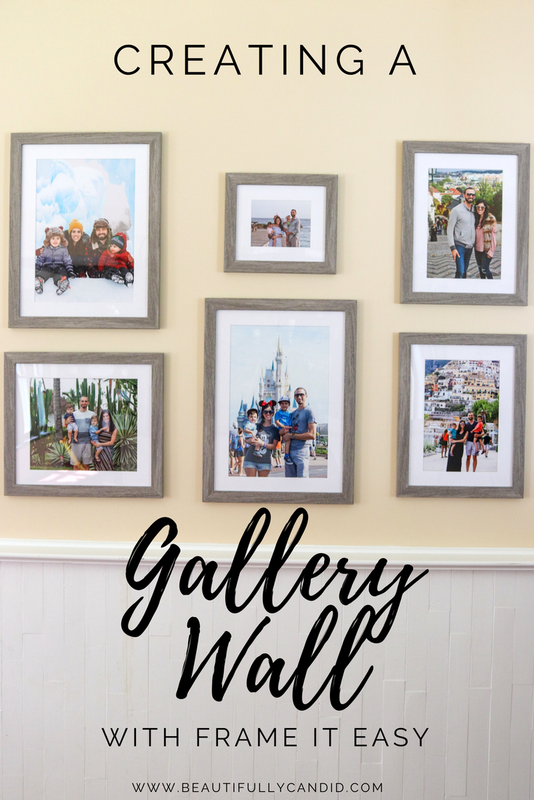 I love the idea of keeping all of the frames the same, but I also love how some people have been able to pull off mixing and matching frames to make a gallery wall look amazing. 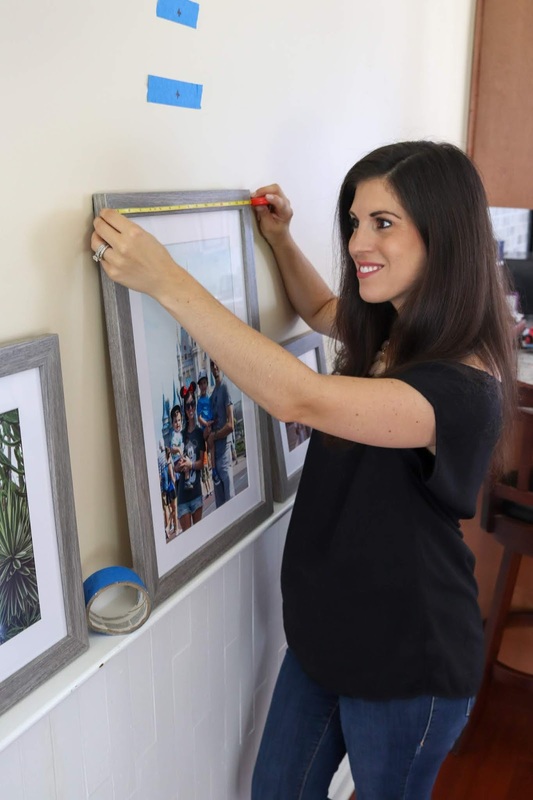 I also love the idea of just framing a special moment and hanging it wherever you want. Of course thinking about them as a gift is great too. I know my mom is already hinting about Christmas gifts and was so cute when she saw this wall that she actually started tearing up. She said something so sweet that makes me want to frame all the moments now. She said, you can feel a difference in a home with love when memories are displayed for all to see. 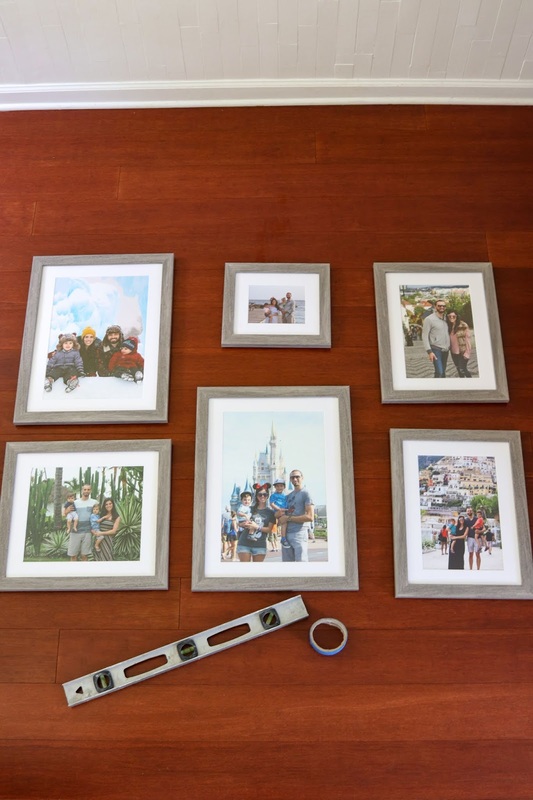 When making a purchase with Frame It Easy be sure to use code SIERRA for 10% off. Code expires 11/1/18.